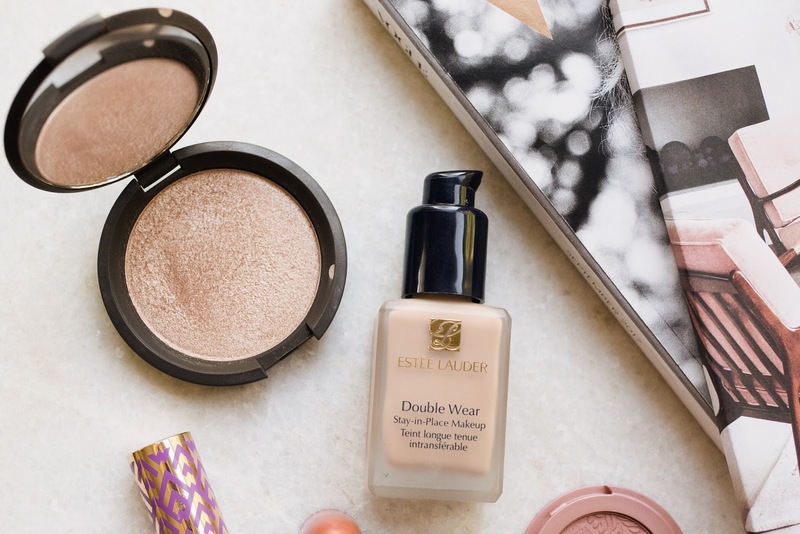 I realized that it's been a long time since I shared some of my very favorite makeup products, so today I'm sharing 5 makeup products I absolutely swear by! 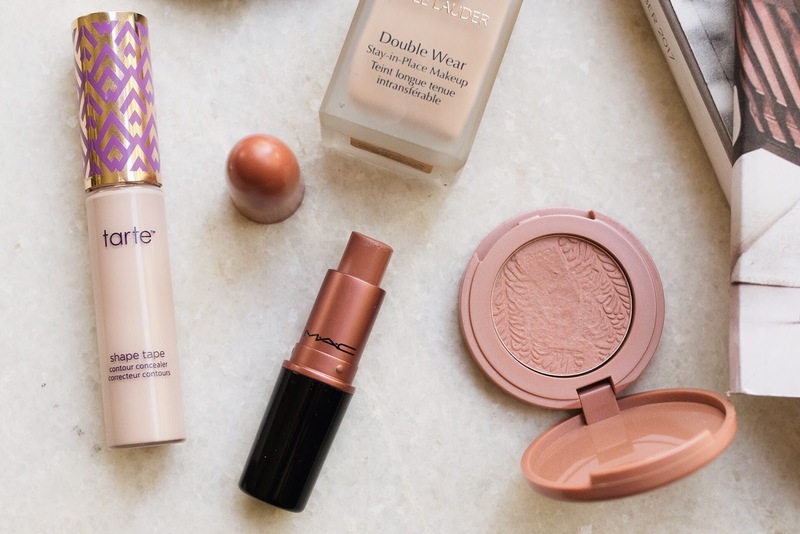 These products are all the best I've ever tried in their respective categories, and that I've either repurchased multiple times, or plan to when I run out! 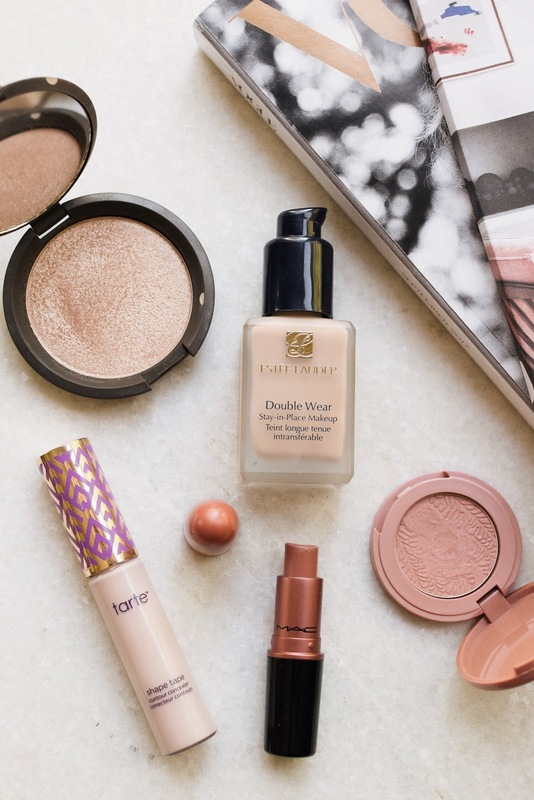 Double Wear is my ride-or-die makeup product. I strayed for about 6 months in an effort to save some money, but I recently went back and now remember why it's the best! The coverage is flawless and full without being cakey 🙌 and it truly does last all day! My t-zone is pretty oily, but this foundation can hold up with just a bit of setting powder on top. Tips: I apply in a stipling motion with this brush, and purchased this reusable pump to have better control of how much I'm dispensing. I don't know how I missed out on this concealer for so many years, but it's truly fantastic! I have *very* dark circles (my entire life unfortunately), but this does a great job of covering and highlighting, and doesn't fade throughout the day. Unlike a lot of other full coverage concealers, the consistency is nice and light, and is very blendable. I've tried so so many concealers, and this is by far the best! This tube has also lasted me several months too, so I'm extremely impressed and will definitely be repurchasing for the foreseeable future. If you've ever asked me what lipstick I'm wearing, chances are it's been this one. I wear it 9 times out of 10, and it's pretty much become my signature lip color! I've lost track of how many times I've repurchased over the past couple of years. I'd heard/read great things about Tarte's blush for years, and finally got this one as a birthday gift from Sephora. Believe me when I say that I haven't touched another one of my blushes since I got this! The color is pigmented, so a little goes a long way, it's very blendable, and doesn't fade from my face halfway through the day like so many others. Mine is the color 'paaarty' (a soft mauve-y rose) and I can't wait to pick up another shade or two to mix into my rotation!